Omir (Rios) Santos was born on April 29th, 1981 in Bayamon, Puerto Rico. The big six foot 215 pound catcher, attended East Central College in Missouri. He was selected in the 21st round of the 2001 draft, by the AL New York club. Santos spent seven years in the clubs organization, as a catcher at all minor league levels. He was released in late 2007 & signed with the Baltimore Orioles. He played in ten games at the big league level, debuting at age 27. At the end of the year he was granted free agency & got signed by the New York Mets. He played 84 games with the AAA Norfolk Tides, batting .269 with one HR & 36 RBIs. In 2009 he began the year at AAA Buffalo, but after three games he was called up to the Mets big league club when injuries struck the catching staff, putting out Brian Schneider. On April 17th he appeared as a pinch hitter, going 0-1 in a 5-4 loss to the Milwaukee Brewers. Two days later he got a start at Shea Stadium catching Nelson Figueroa in a 4-2 loss to the Brewers. That day he got two extra hits, a double & a triple. On April 27th, he had a huge thrill, hitting a 1st inning grand slam HR off the Florida Marlins Anibal Sanchez. In May, he had a good month, driving in 14 runs while playing in 19 games. 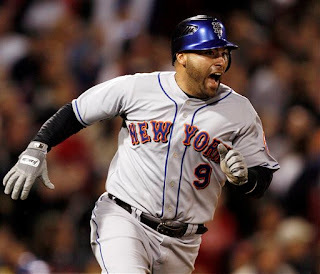 On May 23rd, with the Mets down 2-1 in an interleague game at Fenway Park in Boston, Santos came to bat in the 9th inning with Gary Sheffield on base. He blasted a two run game winning HR off the Red Sox Jonathan Papelbon leading to a 3-2 win. A week later he was the hero again, this time at Citi Field, hitting a walk off HR against Brian Sanches to beat the Marlins 2-1. 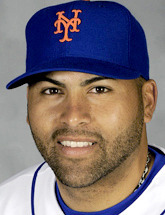 Santos was finding a quick success in New York after all his years in the minor leagues. On June 13th in an inter league subway series match up, Santos hit a three run HR off Andy Petitte in a 6-2 Mets win. 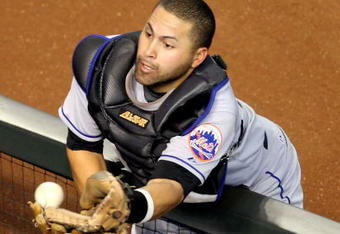 Santos put in a decent season, as the Mets main catcher (96 games). He hit .260 with 7 HRs 14 doubles & 40 RBIs. Behind the plate he threw out 29% of would be base stealers. In 2010 he played just 27 games in the minor leagues & was granted free agency at the end of the year. He would get to the Detroit Tiges organization & appeared in 11 games in the 2011 season. 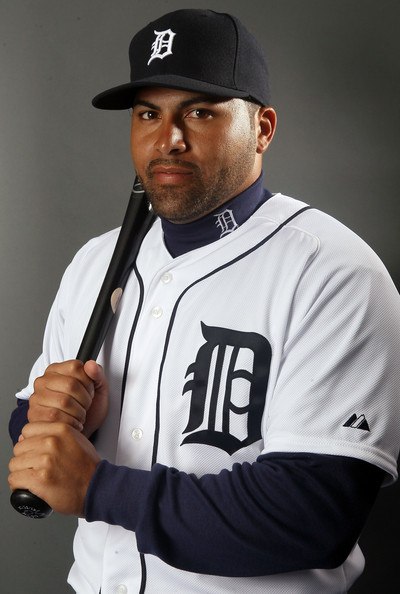 In 2012 he played three games at the big league level for the AL Champions Tigers. In 2013 he played Spring Training with the Cleveland Indians batting .375 in 17 games.